The plans for what would become The Sidereal Cycle took place without any input from me. I first found out about the concept from a post on the Altus blog. As soon as I read it I reached out to Mike (Carss, AKA Altus) with a resounding, “Yes, please!” Fans of Free Floating and ambient I’m sure will understand my enthusiasm. With its focus on thematic elements, the music of Altus is also decidedly painterly in that the melodies and structures help to draw mental images, especially since each release usually contains a specific topical reference (time, sleep, fire, water, etc.). Every time I try to write about an Altus release, I feel that I have already used up all of my superlatives on his last one. 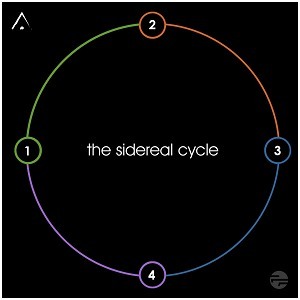 It’s an experience that has been most acute as I have been helping to steer The Sidereal Cycle over the past year. I believe that Mike has done it once again and gone to the deep well of his creativity and pulled up a cool and refreshing draught of entrancing and rich ambient art. This final piece of The Sidereal Cycle, Virgo, uses medieval composer Thomas Tallis’s Spem In Alium as a starting point in an impressionistic re-imagining. Gentle, hanging chords are topped by plucked strings to create a heavenly ambience worthy of Tallis’s sacred aspirations. 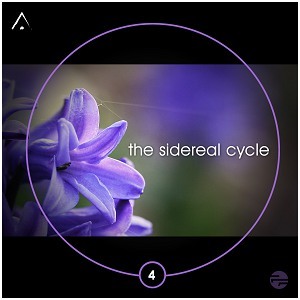 You now have all four compositions of The Sidereal Cycle and I fervently recommend that you take the time to listen to them in sequence and follow Altus on this musical journey through the year.